The one thing I always mention is, be careful who you take advice from. And it isn,t just the bad guys you have to worry about. I see more damage done by family and friends in their effort to ‘protect you’ from making mistakes. They care, but often have only heard horror stories and don’t want to see you make similar mistakes. 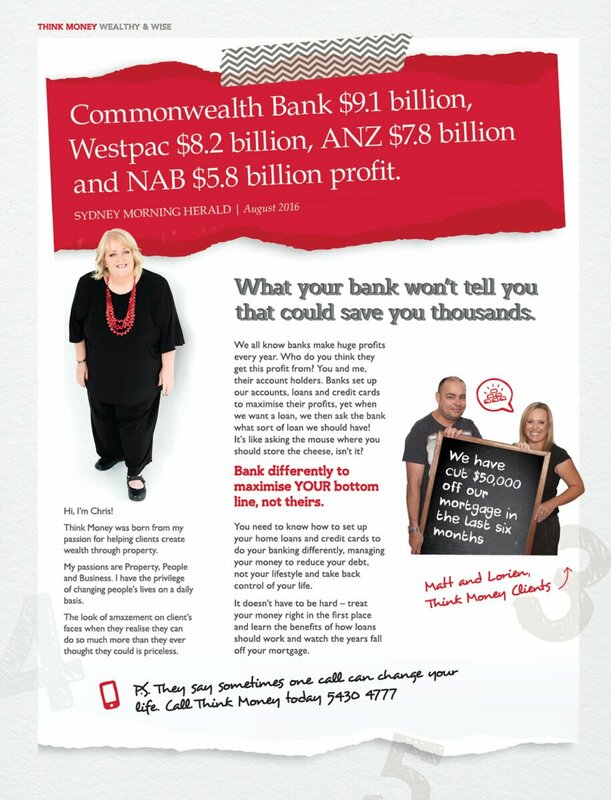 Many people go to their bank to find out how to set up their loans and what they should borrow etc. Unfortunately, it is like asking the mouse where to put the cheese isn’t it? The banks make huge profits by making sure they teach their employees to advise their clients how to do their banking to suit them, to maintain the highest levels of debt for the longest period of time. Think about the person who is behind the counter giving you advice on how to make money. Consider what he or she earns and owns and then decide if they are qualified to tell you how to become wealthy. Now I tread carefully … I was a financial planner for 10 years 1990 – 2000. I was considered a very successful planner and specialised in retirement planning, so I am not saying this without knowledge and experience. Financial planners are restricted on what they can advise on, and most are unable to give any advice on property. All I will say is during that time I didn’t meet many financial planners who were wealthy…. I will leave it at that. Still treading carefully! There are great accountants out there that give great tax advice! But there are also many who really are just bean counters. It isn’t really the industry for excitement and entrepreneurs. 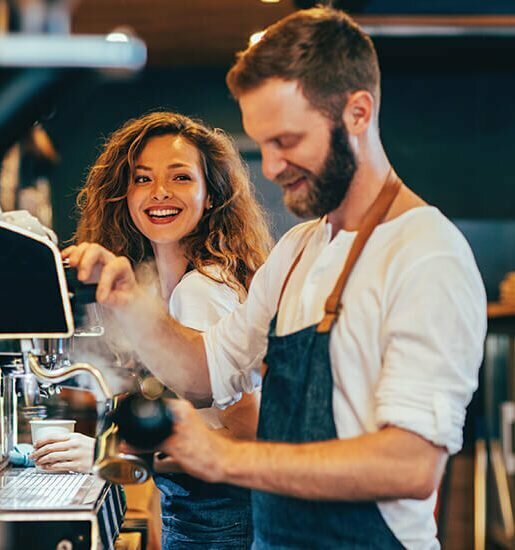 So, before you take property advice from an accountant – other than how to maximize your deductions – ask them how many investment properties they have. 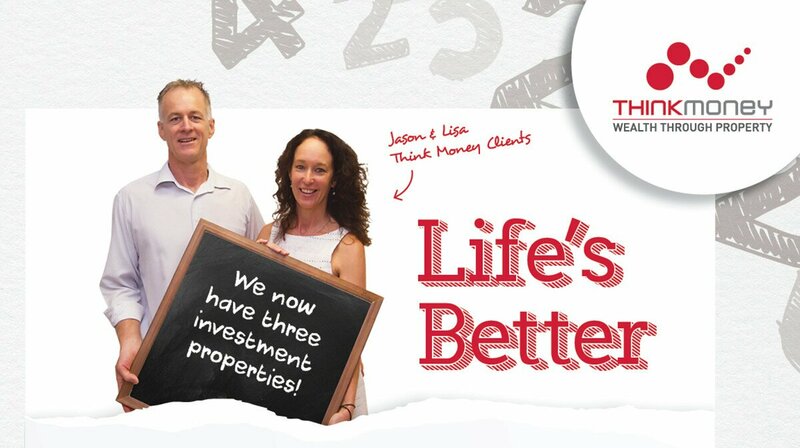 If it isn’t many, or worse none, be careful about taking property investment advice from them. So before taking advice from anyone, look at who they are and what they have and if that is where you want to be – take their advice. If they don’t own an investment property – can they advise you on it? If they aren’t wealthy, can they tell you how to be? 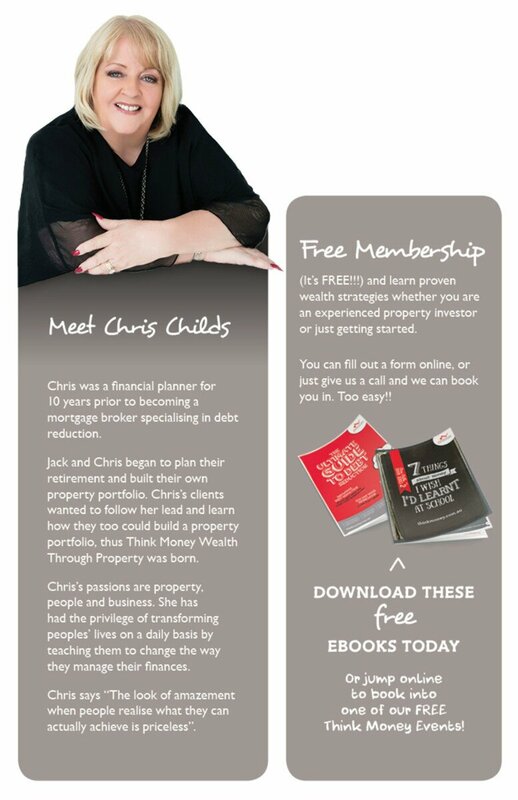 If you want to know how to become wealthy, or how to build a property portfolio, find someone who has done it and ask their advice, they obviously know how to do it. It’s the team approach that has got us to our first property! It’s tried and true advice. We’ve dealt with a financial advisor before and dealt with banks before and they tell you what they’re told to tell you and that’s what we’ve always felt, whereas at Think Money it’s a different approach. They tell you this is how it is, this is what worked and what didn’t work, you have that security. At the beginning we didn’t understand how much involvement and education you get out of Think Money, right down to running a budget, keeping focus on what you’re doing with your money and how you bank and retraining your thoughts. Everyone is different too, so it’s not just one package that gets delivered to everybody, because every client has a different set of circumstances surrounding them, so it’s about having a tailor-made strategy wrapped around them, which enables everyone to achieve their goal. In the next 12 months it would be nice to have a holiday that’s not hamstrung by money and in the next five years we would like to own a family home and have four more investment properties. We want to be less stressed about our retirement future.